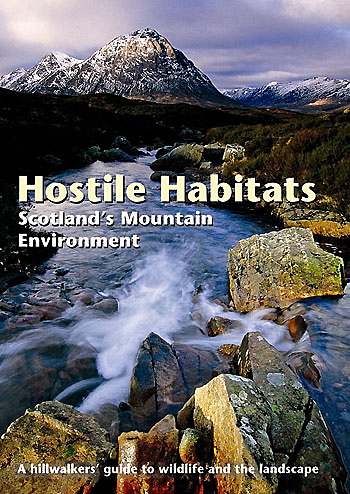 Compiled by some of the country's leading experts in their fields, this revised and expanded 2nd edition of Hostile Habitats offers a detailed introduction to the natural and man-made environment of Scotland's mountains, written by hillwalkers for hillwalkers. Nine in-depth chapters combine the very latest research and knowledge and present it in a non-specialist style. The result is the most accessible and comprehensive overview of the upland environment ever written for outdoor enthusiasts. More than 325 photographs and diagrams illustrate chapters on Climate, Geological Foundations, Shaping the Mountain Landscape, Vegetation Cover, Invertebrate Life, Mountain Birds, Mammals, Reptiles and Amphibians, Human Traces and The Future of Our Mountains. Supplementing these chapters are identification sections detailing some of the rocks, landforms, plants, invertebrates, mammals, reptiles, and human traces to be seen in the hills, all of which have been refreshed in this new edition. 280 pages.